This happens more often than you would think. The reason is relatively simple: When you act as your own marketing consultant you lack the perspective necessary to see things the way your marketing audience does. Think of your business like your body, with your forehead representing your marketing. If you have a big smudge on your forehead everyone can see it, except you. You need someone to tell you it’s there. Just like you can’t see your forehead the same way everyone else does, you can’t see your marketing the same way your target audience does. As the business owner, your goals are just the opposite of your customer. (You might want to reread that last sentence. It’s important.) You want to get as much money as you can, while giving away as little as possible to keep your profits high. That’s the nature of running a business. Your customer wants the most bang for their buck, so they want to get as much as they can and pay as little as possible. That’s the nature of being a smart consumer. There’s nothing wrong with either of these goals – it’s just how the world works. Work with Gonzo Strategies for your marketing consulting and we hold up a mirror so you can see the smudge on your forehead. We show you the opportunities you can’t see because you’re too close to the problem. 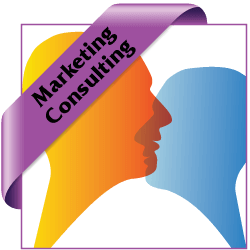 For marketing consulting we work with you in a way that fits your individual situation. The majority of our consulting work is done around the Fort Worth area, but we do work with clients in other parts of Texas, and throughout the United States. Are you pounding your head against the wall trying to come up with new ways to market your business? Do you need to bounce an idea (or 10)? Do you need some perspective on your marketing campaign? Gonzo Strategies has you covered. Whether you need a sounding board for your advertising, advice on how to execute a marketing campaign, or guidance on a marketing project; we’re here for you. Time and time again we’ve met with business owners who say, “I don’t get marketing. Can you just take over so I can get back the part of my business I love?” The answer is a resounding, YES! This is actually the way we can help you the most. 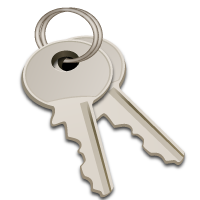 Handing over the keys allows us to develop comprehensive and cohesive marketing for your business. This works similarly to the way you would hire a lawyer. You prepay for a block of hours and we work against it. When your time is almost used up, we let you know so you can bank more hours. This is ideal for clients who know they will need a consistent level of ongoing marketing support. 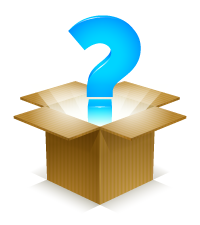 We wouldn’t be very “Beyond the Box” if we only gave you two options, now would we? We understand small businesses come in a wide variety of shapes and sizes, with a variety of needs to match. If you don’t feel either of the other options for consulting is right for your business and you have something else in mind – let us know. While we won’t work for magic beans, we will do our best to work with you. Our ultimate goal is for you to be successful. Have you ever wondered if marketing firms are giving you the same advice they give your competition? Some do. We don’t. At Gonzo Strategies, our business is based on loyalty and trust. If you’re under contract with Gonzo Strategies and one of your competitors wishes to hire us, you get to decide if they become a client. We will NOT take on a new client in direct competition with an existing Gonzo Strategies client. While we would love to be able to offer exclusivity to all of our clients, we would be out of business very quickly if we didn’t put some restrictions on our exclusivity clause. Only clients with an active retainer are available for exclusive representation. If we already have a client on the books who conflicts with your business, we won’t drop the, but we will let you know about them before we start working together. Regardless of the scope of work we perform for your company, Gonzo Strategies will never share your ideas or privileged information with your competitors. However, in order for us to turn down clients, you must have an ongoing, active contract with Gonzo Strategies for marketing and/or consulting services.